My friend Jeff is trying to start a motorcycle maintenance business... or at least he's thinking about it. He's got a fully equipped shop out near Huntington, and has immersed himself in Ducati knowledge, striving to be a DIY master Ducati tech. 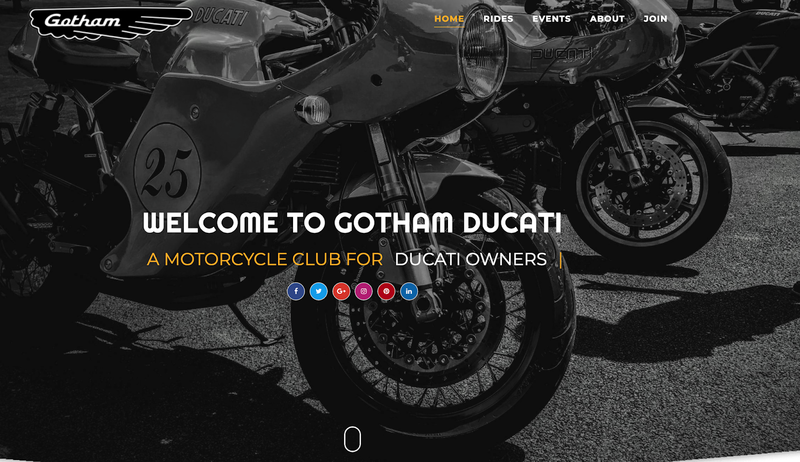 Introducing Gotham Ducati, New York City's first and only DOC officially sponsored by the Ducati factory in Italy. There are numerous riding and social clubs, as well as groups built around track days around the tri-state area. There also quite a few Ducati fan clubs, spanning New Jersey, Connecticut, New York, New Jersey and Pennsylvania, but until now, there hasn't ever been a dedicated club celebrating New Yorkers who ride Ducati motorcycles.